Reintjes GmbH is a global independent propulsion technology company, manufacturing gearboxes and propulsion systems at its headquarters in Hamelin, Germany. Reintjes continually expands its classic product portfolio of marine gearboxes for main drives with power ratings from 250 to 30,000 kW. Dredging gearboxes, as well as complex system solutions such as pod drives and hybrid drives have rounded off the product range. For industrial use, Reintjes also offer a portfolio of high-speed gearboxes, manufactured with heavy-duty machinery in mind. As the number one authorised UK service dealer for Reintjes, we offer service and repair to the full Reintjes marine gear and transmissions portfolio. We also supply replacement parts and offer an installation service to new unit commissions. 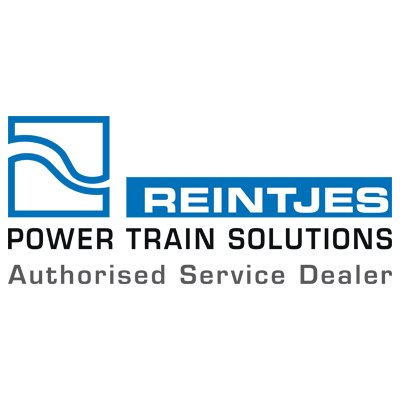 As the service provider of choice for Reintjes equipment, we have a highly skilled team of service engineers, trained directly by Reintjes, operating from our Kent and Yorkshire service centres. We are proud to also offer a mobile service capability to ensure the downtime of your operation is minimal. Our Service and Repair team offer effective and rapid response times, which provide our customers with engineering support when needed – be it an emergency or regular maintenance. Contact us today to discuss how MIT can maintain or repair your Reintjes equipment.